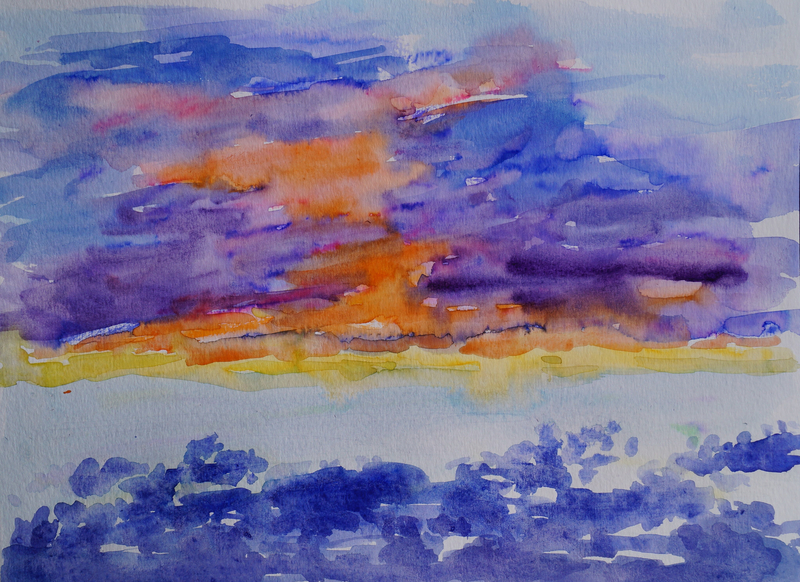 I was tucking my daughter in to bed the other night and I caught a glimpse of this sunset out the window so I rushed to paint it. I only had minutes to get it done so it was a bit frantic and I think it shows. Very different from the painting in my last post. For this one I did try using both the watercolour pens and watercolours together which helped me to get down the most intense colours very quickly. I started with the pens and then finished it with watercolours and brushes, and a whole lot of water to blend it together. ← Early In the Morning.